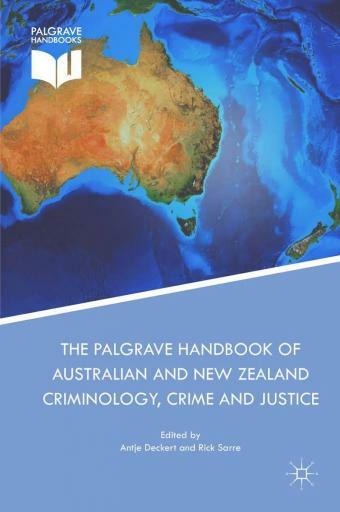 In: The Palgrave Handbook of Australian and New Zealand Criminology, Crime and Justice (Springer); Antje Deckert and Rick Sarre, Eds. By 1996, Australia had suffered a spate of 13 public mass shootings which claimed 112 lives and ended only on April 28th, when 35 innocents were shot dead in the Port Arthur massacre. The next day, public health and law practitioners ignited a wildfire campaign for gun control which was agreed and adopted by all sides of politics in just 12 remarkable days. 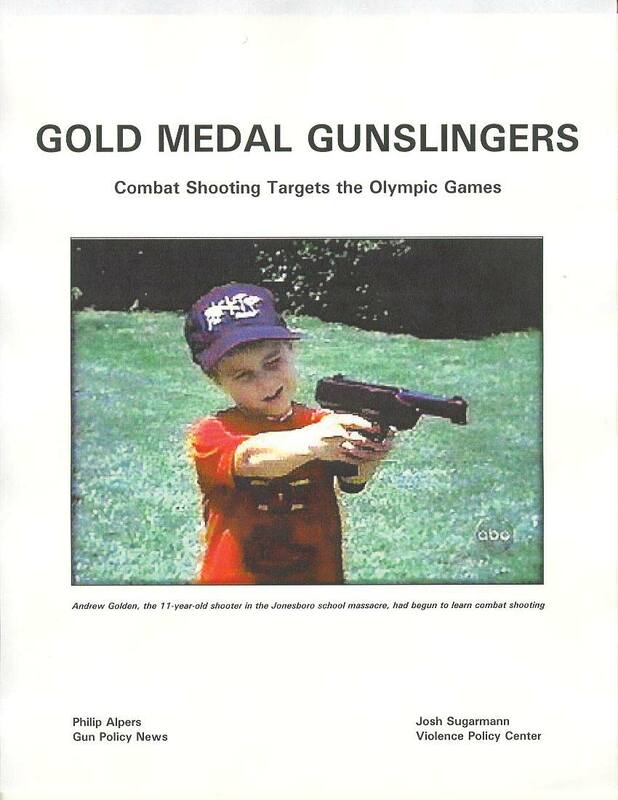 In the 20 years which followed, more than a million guns were destroyed. Mass shootings simply ceased, and the risk of an Australian dying by gunshot dropped by more than half. Although cause and effect remain in dispute, the world’s most comprehensive suite of legislation to reduce gun death and injury is now widely cited as an example of best practice. 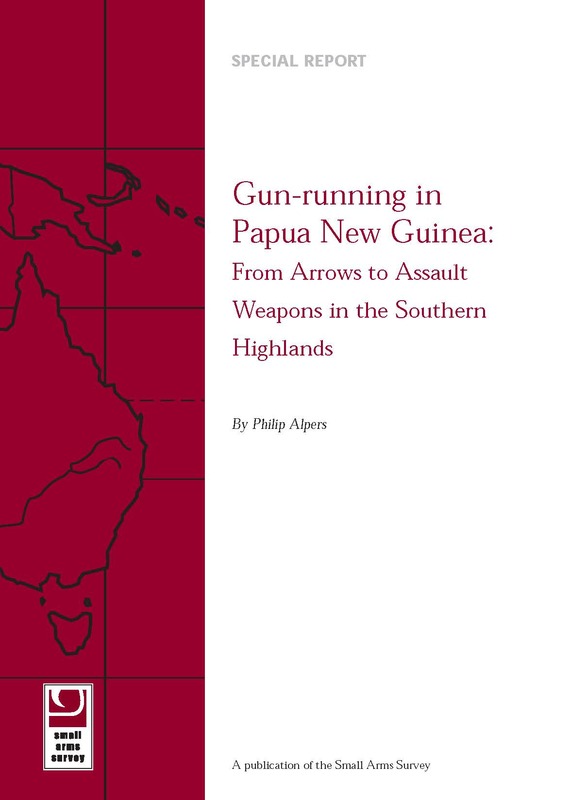 This chapter shows how and why, along with almost all colonies of European empires, Australia adopted three legislative pillars of gun control; licensing gun owners; registering each of their firearms; and treating private gun ownership as a conditional privilege, not a right. I describe the patchwork of laws and loopholes which permitted one small jurisdiction to undermine the best efforts of seven others until the day it suffered 35 gun deaths in a single massacre. I describe the remarkable two weeks in which law campaigners, the public, and all sides of politics united to replace a jumble of legislation across eight jurisdictions with a single, comprehensive national agreement, but I also recall the hard years of policy slog which made that possible. I outline the provisions of the National Firearms Agreement, its effects, and the legislative backsliding which continues to this day. Perhaps most importantly, I present evidence of the public safety impacts of those laws, now cited around the world. Finally, I credit officials and police with leading two decades of national attitude adjustment to guns and gun owners, reminiscent of the 1980s turnaround in drink-driving enforcement. 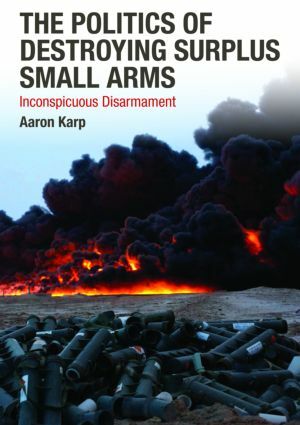 The Centre for Armed Violence Reduction (CAVR) focuses on preventing the flow of illicit conventional arms. 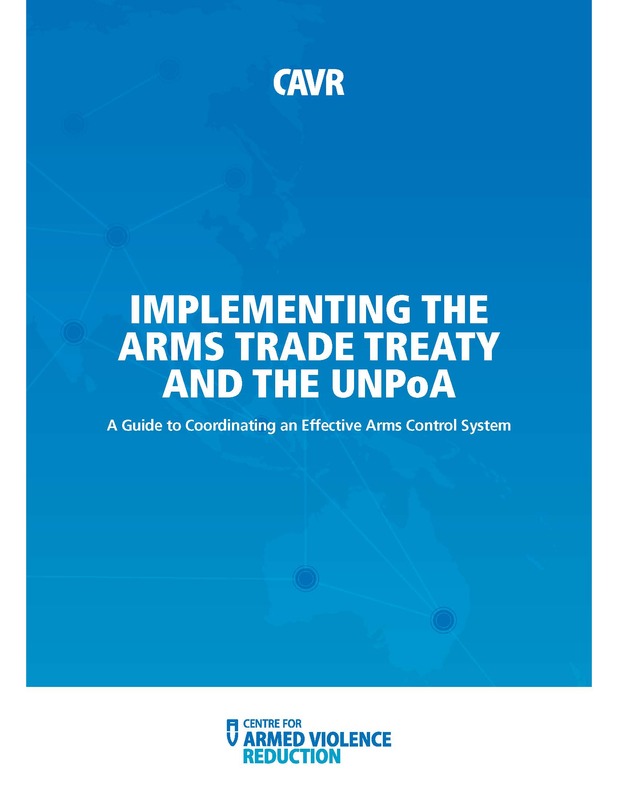 This is the second edition of our Implementation Guide for the Arms Trade Treaty (ATT) and the UN Small Arms Programme of Action (UNPoA). Launched at the United Nations in New York, the Guide is used around the world at international meetings and distributed to government officials. Our aim is to help governments develop an effective interagency coordinating mechanism, to adopt the Arms Trade Treaty and to speed implementation of the UNPoA. Four consecutive formal reports have now found that no Australian State or Territory has at any stage fully complied with the 1996 or 2002 firearm resolutions which collectively formed the National Firearms Agreement. In important areas, State and Territory legislation has been blocked or revised to dilute the effect of the NFA. This report, commissioned and funded by Gun Control Australia, finds that on balance, both non-compliance from day one and two decades of political pressure have steadily reduced restrictions and undermined the NFA’s original intent. In a public safety consequence loaded with irony, state laws now guarantee a multi-million-dollar annual income stream to Australia's pro-gun lobby, the Sporting Shooters’ Association of Australia (SSAA). Where Do Australian Criminals Get Their Illegal Firearms? For more than a decade, authorities whose job it is to seize and to trace crime guns have steadily contradicted the unsourced, evidence-free opinion that most illicit firearms are smuggled into the country. Newly released gun owner licensing and firearm registration data from CrimTrac could be misleading, and require explanation. From 1988 to 2015, Australia ran 41 state, territory and federal firearm amnesties for a combined total of 3,274 weeks. From the reports in which numbers were published, a minimum of 1,121,577 firearms were surrendered to police for destruction. For an additional 44 months, collection figures are unknown. 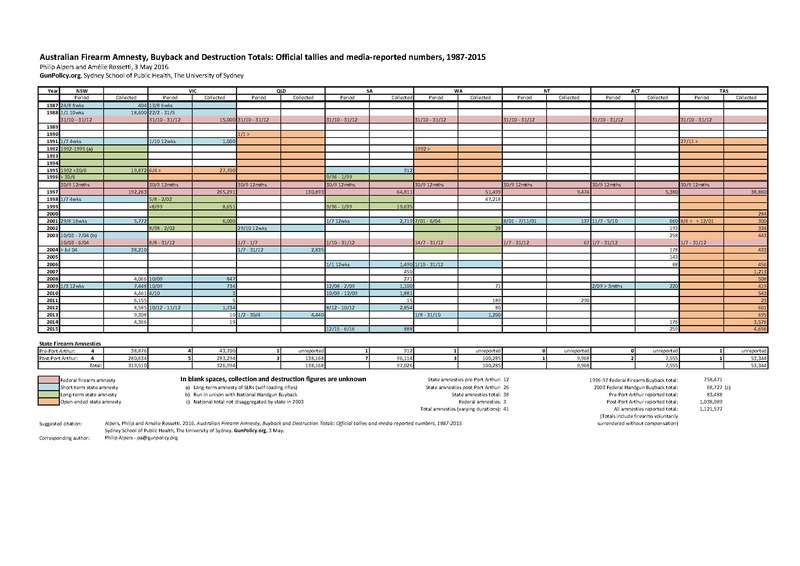 This table shows official tallies and reported numbers. long guns, Australian arms dealers rushed to import more firearms. Many of these replaced guns destroyed in the buy-back. the Port Arthur gun massacre, from 1995/96 to 2014/15. 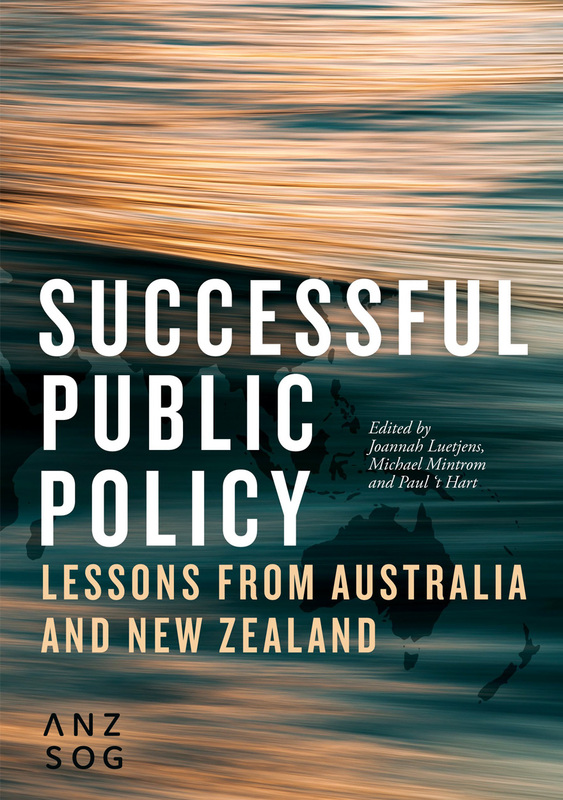 Australia is often held up as an example in US gun control debates, but America might learn more from a close look at Pacific Island nations. Similar countries have saved lives by reducing the availability of firearms. Now the world leader in public health interventions has little option but to bite the bullet and to curb gun deaths by following the evidence. Of 227 victims shot dead, 90% were killed by a previously law-abiding, licensed gun owner, while 97% were shot with a lawfully owned firearm. All the perpetrators were men. Targeting just “illegal guns” to curb the firearm death toll in South Africa is akin to focussing only on “illegal cars” to reduce the road toll. By Philip Alpers. 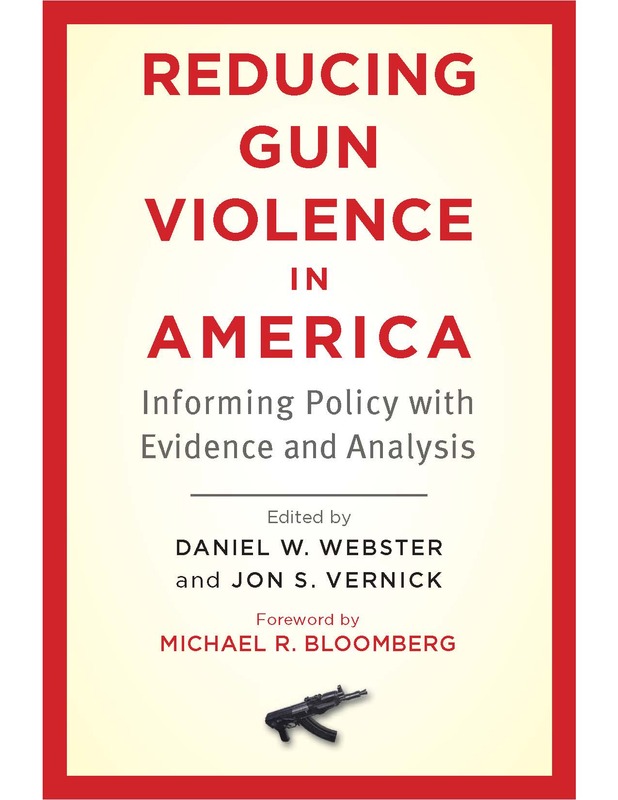 In: Reducing Gun Violence in America: Informing Policy with Evidence and Analysis edited by Daniel Webster and Jon Vernick. Australia's massive experiment in gun control saw a million firearms, or one third of the nation's private arsenal destroyed, then a million new, but different guns imported. Sixteen years after firearm laws were tightened, gun homicide remains 50-60% lower, and the nation has not seen another mass public shooting. In 27 countries across the Caribbean and Latin America, 53.5 million firearms are in the hands of civilians, while another 9.1 million are held by the state. Meeting of Governmental Experts on the Implementation of the Programme of Action on small arms and light weapons (UNPoA MGE) at the United Nations in New York, 9-13 May 2011. 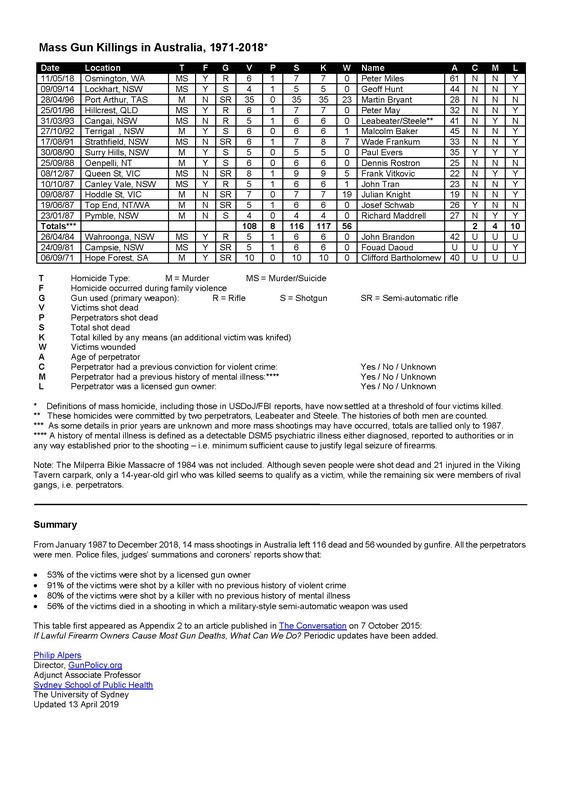 Published United Nations small arms Programme of Action (UNPoA) and International Tracing Instrument (ITI) national reports, along with small arms legislation analysed from 73 UN Member States, provide preliminary marking and tracing implementation totals. 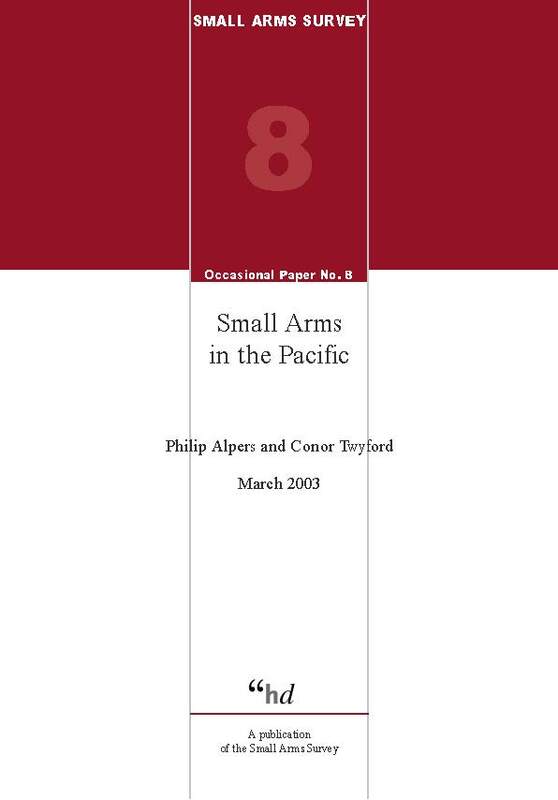 A partial answer to those who attempt to discredit Philip Alpers by questioning his qualifications. If guns were discussed and regulated as matter-of-factly as other vectors of injury and disease, ideological barriers could be moved aside, much as they were in the prevention of HIV/AIDS. 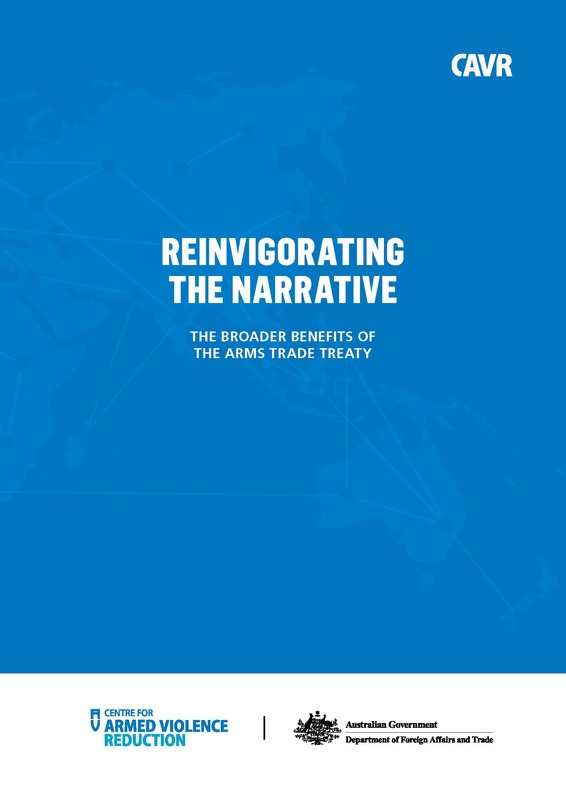 A Report Commissioned by the New Zealand Police Association.